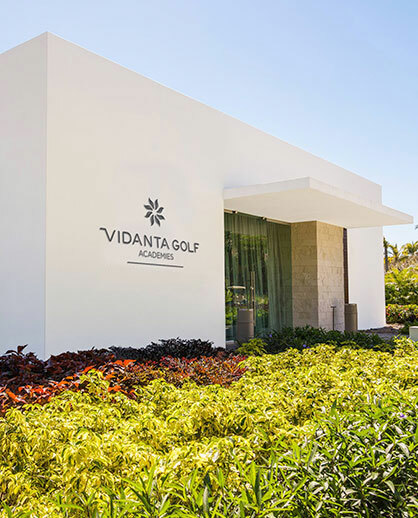 With six gorgeous golf courses, four designed by renowned golfers Jack Nicklaus and Greg Norman, Vidanta Golf is the leading golf course developer in Mexico. From the stunning desert settings of Los Cabos and Puerto Peñasco, to the lush jungle courses of Riviera Maya and Nuevo Vallarta, Vidanta Golf courses offer players an incredible variety of geographical beauty and technical difficulty. Vidanta is pleased to announce the sponsorship of eight talented and tested PGA touring professionals that represent not only the future of the game but the same determination and commitment to excellence that we strive for at Vidanta. The touring professionals will represent Vidanta throughout the year at all public appearances as well as PGA Tour events displaying the Vidanta logo on the front of headwear and apparel. Golfers of all levels at Vidanta Nuevo Vallarta have the incredible opportunity to learn from the best at the Jack Nicklaus Academy of Golf. Expert instructors provide personalized instruction proven teaching methods, and instant feedback to improve both the mental and physical aspects of the game.